Early this morning, from East Oakland to West, students climbed into AC Transit buses, fares or passes in hand, and commuted to schools in other neighborhoods. In 2004, the Oakland Unified School District (OUSD) rolled out a new enrollment policy, an “options process” which allowed parents to send children to schools outside of their neighborhoods. Parents wanted equal access to opportunities at schools throughout Oakland, and some specialty programs were only offered at one or two schools. Since the district does not operate its own bus service, most students commute using public transit. Thursday’s march down MacArthur was the latest chapter in an extraordinary outpouring of support. Sixteen-year-old Richard Thomas has been charged as an adult for potential hate crimes. Despite the constant threat of transit strikes, all trains will be running as normal tomorrow and negotiations will continue once more for BART workers’ contracts. A strike by the bus line would have left thousands of riders without their usual transportation on Thursday. Amalgamated Transit Union (ATU) local 1555 announced on Twitter shortly after 10pm that there would be no strike on Wednesday. 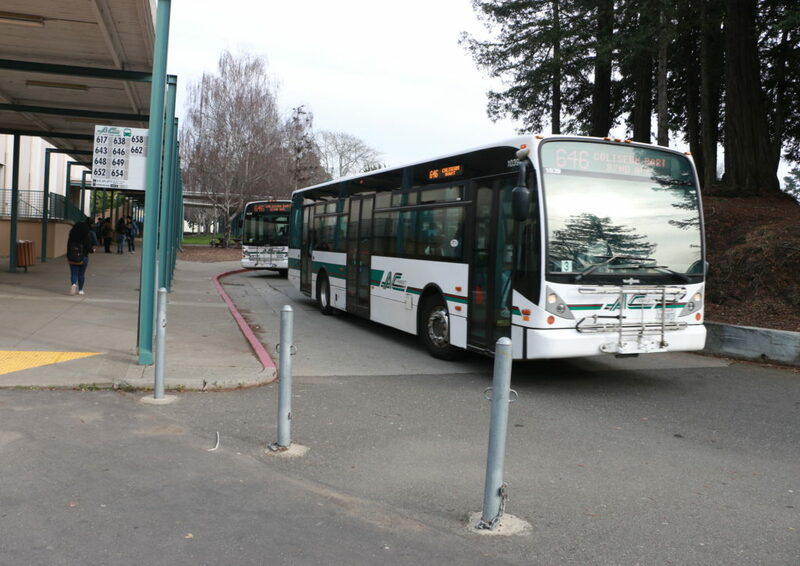 Governor Jerry Brown is weighing a request by AC Transit management for a 60-day cooling off period in the planned strike by the bus line’s workers, which otherwise could happen as early as this Thursday.